All rooms are great! We had a side view of the sea but it was still wonderful. The best restaurant in the hotel was the medietaren. There were 7 floors on our block that we stayed in. Best rooms are Sun & Sea facing all restaurants within the hotel good including Indian Restaurant even though at a extra charge. Hurghada - the new Wild West! The immediate areas/streets and locals outside of this hotel are unbelievably dodgy, desperate or downright dangerous. In the 20 or so years since I last visited this fascinating country, the practice of hassling, haranguing and scamming tourists has reached a disturbing level. Rarely have I felt so unsafe walking down a street. Even the polite use of 'la'a shukran' is now met with a challenge and physical confrontations are commonplace. Counterfeit goods rule and even chemists are in the scamming game. On one astonishing day I was offered a handful of sweets instead of my change and the cashier openly rigged the till to avoid having to open it to give me my change. I now fear for the safety of my fellow tourists. 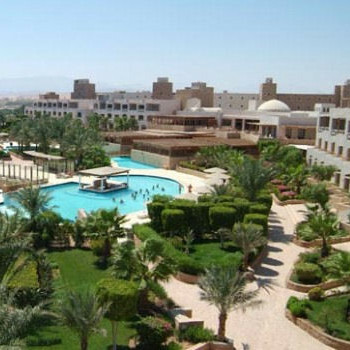 The Hurghada resort is fast becoming bandit country. Unfinished buildings dominate the skyline, shops are empty and unfinished roads and paths are perilous. A security guard at the airport openly stole my son's new sunglasses, but could I prove it? Could I heck! My son (15) was all but manhandled into a darkened shop but mercifully he got himself away and back to the safety of the hotel. Please, please, please don't take a chance with Hurghada. Go to Bulgaria and you'll be treated as tourists should be - with decency and respect. The resort,(Sakalla,region) wasn't the cleanest place, but wasn't a real health hazard, but further along the resort it was much cleaner. There were plenty of bars and nightclubs around, and there are going to be even more when the new marins is up and going. The beach was adequate but nothing special, although it was very clean with hotel cleaners going over the sand with rakes during the day to remove stones etc I would visit Hurghada again but no to Sakalla, i would stop further up the resort where the Hotel Siva Grand Beach is situated, as it looks much nicer there.